The solutions to the primal and adjoint problems are commonly approximated by means of numerical methods, such as the finite element method (FEM) or the finite volume method (FVM). In order to apply these techniques, the domain under study must be tessellated with a mesh. 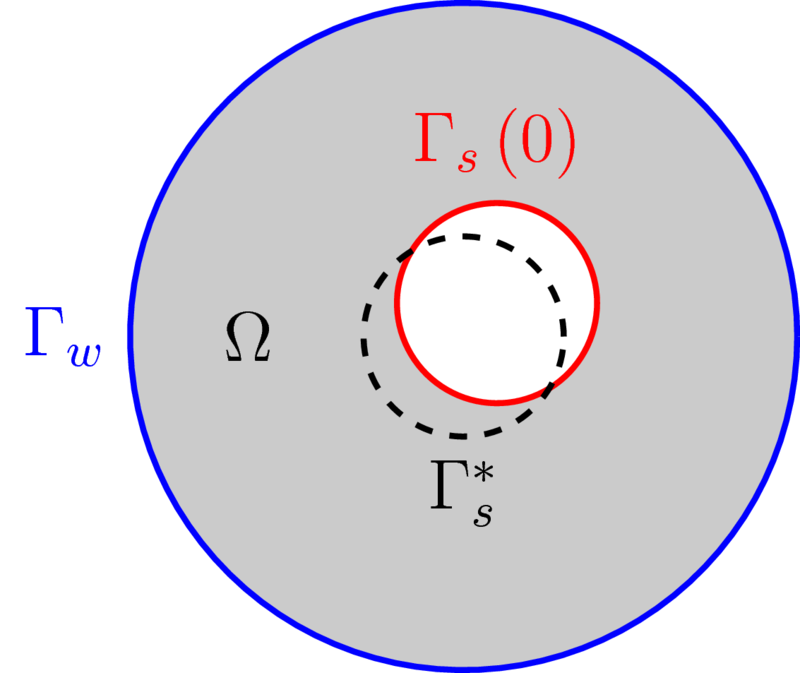 Nevertheless, applying the displacement directly to the controlled boundary will deteriorate the surrounding elements after a few iterations and the computation will crash if the interior nodes of the domain are not reallocated. In order to avoid this, the domain can be re-meshed after a number of iterations. However, this can be very expensive as a completely new mesh must be generated. A commonly used alternative is to move the interior nodes of the mesh according to the displacements prescribed on the boundary. By doing this the number of elements and the nodes connectivities remain the same, only the mesh nodes positions are updated. 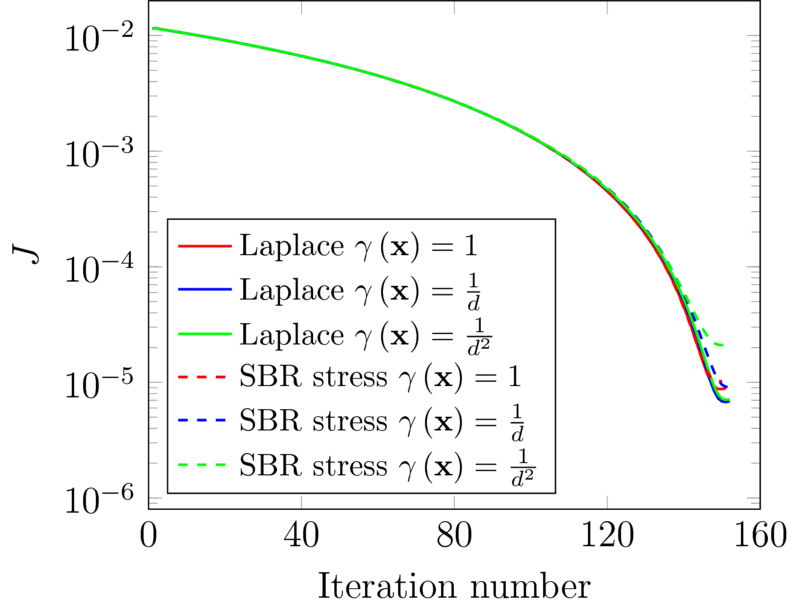 The Solid Body Rotation Stress method and the Laplacian smoothing included in the OpenFOAM library have been used. The mesh motion solver is specified in the dictionary constant/dynamicMeshDict. the cost function equals zero, thus it is an optimal solution. 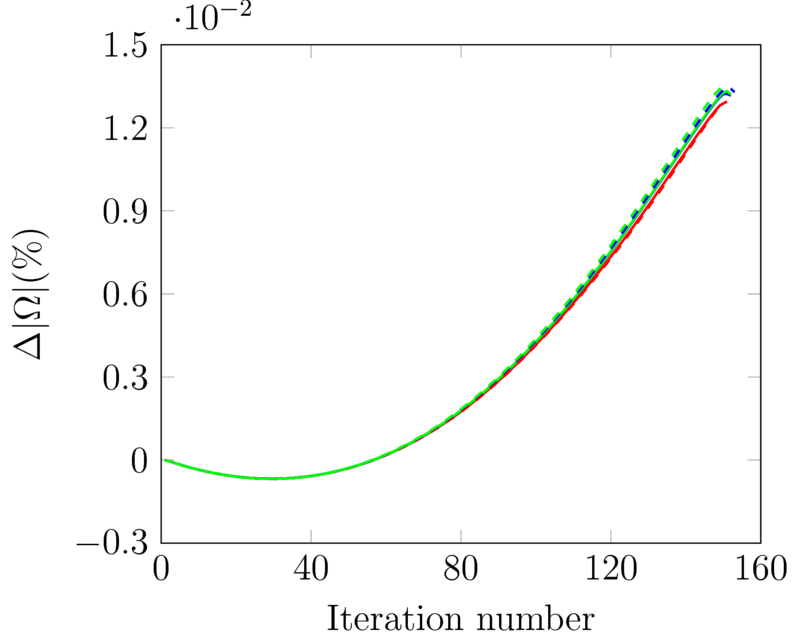 The steepest descent algorithm has been coded in the OpenFOAM solver poissonOptShapeFoam with . Moving boundary problem based on calculated data, CFDonline, 2013.